This year Lakewood Yacht Club is celebrating its Diamond Anniversary as it turns 60 years old and for the first time in its history, Lakewood has a lady commodore at the helm – attorney Joyce Maxwell. She was honored at the 2015 Commodore’s Ball, along with Vice Commodore Don Mitchell, Rear Commodore Jim Winton and Fleet Capt. Ash Walker. On hand for the special occasion were 19 former commodores and their wives and escorts – Pat and George Pappas, Eloise and Bunny Pearl, Jill and Don Rauscher, Kendra and John Broderick, Alice and Jack Thomas, Cheri and Andrew Smith, Viki and Gary Anderson, Judy and Bob Fuller, Mary Ainslie and Steve Leth, Martha and Glenn Robinson, Nancy and Randy Bellard, Sandy and Drew Lewis, Jill and Harvey Denman, Lynne and Brian Irvine, Trish and Don Kugle, Marsha and Tom Taylor, Gayle and A.J. Ross, Sandy and Carl Drechsel and Sue and Tom Collier. 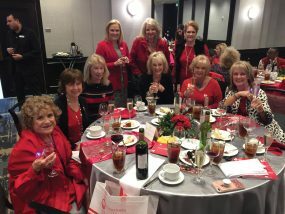 Houston Yacht Club Commodore Robert Williams and Texas Corinthian Yacht Club Commodore Dr. Eric Ellis and their wives, Judie and Debbie, were special guests at the ball. 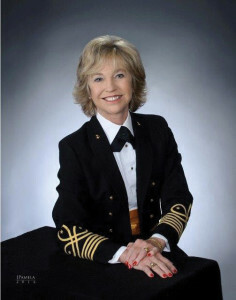 “It is an honor to serve as Lakewood’s first woman commodore, and I look forward to a rewarding year filled with exciting activities and challenges for our members, including the remodeling of our clubhouse dining room,” Maxwell told the black-tie crowd as she looked out over the elegantly decorated ballroom. She is a graduate of Northwestern University and earned her law degree at South Texas College of Law in Houston.